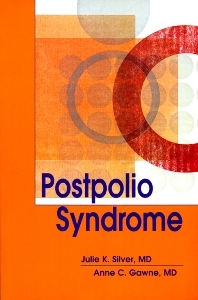 Many survivors of the polio epidemic of the first half of the 20th century are now experiencing a recurrence of symptoms, known as postpolio syndrome (PPS). This book, written by leaders in the field, describes the features of this disorder and its diagnosis, evaluation, management, and rehabilitation. It reviews the problems specific to people with PPS, primarily fatigue, muscle weakness, and chronic pain, and addresses the whole person through chapters on psychosocial issues, aging and prevention of secondary disability, and assistive devices to help with activities of daily living. Current evidence-based guidelines for specific rehabilitation therapies, such as exercise therapy, aquatic therapy, and energy conservation measures, are covered.